The Vatican’s deal with China on the appointment of bishops has not changed the government’s abuse of Catholics and sets a bad precedent for government interference with other religions, said a US religious freedom ambassador. Source: Catholic Herald. “Since this provisional deal was announced last year, the Chinese government’s abuse of members of Catholic communities has continued. We see no signs that will change in the near future,” said Ambassador-at-large for International Religious Freedom Sam Brownback last week in remarks to the Foreign Correspondents Club in Hong Kong, China. His speech was part of a two-day forum on religious freedom, jointly sponsored by Taiwan and the US, Agence France Presse reports. 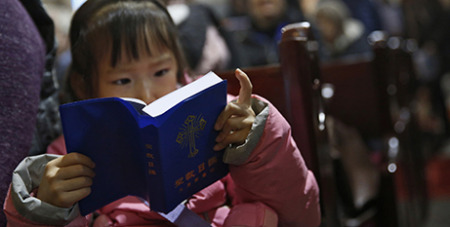 Authorities in Henan province have banned anyone under 18 from going into church to attend Mass, he said. Throughout China in the last year, government officials have forcibly closed hundreds of unregistered churches, both Protestant house churches and “underground” Catholic communities, Mr Brownback said. He added that officials in Zhejiang province are destroying crosses and churches and pressuring Christians to renounce their faith. “Therefore, the power to select the leaders of the Catholic Church in China rests partially with the Chinese Communist Party, which likely results in only individuals whom the Party deems loyal to its interests being put forth to the Vatican,” Mr Brownback said. “Members of the Catholic community, such as Hong Kong’s Cardinal Joseph Zen ... courageously and vehemently opposed this deal,” said the ambassador. Cardinal Fernando Filoni, prefect of the Congregation for the Evangelisation of Peoples, has rejected any depiction of the deal as a “unilateral sacrifice” that demands nothing of leaders long associated with China’s official Catholic organisation. “It is not about establishing who wins or who loses, who is right or wrong,” the cardinal told the Vatican newspaper L’Osservatore Romano, voicing hope that he would not hear of local situations where Chinese officials exploit the agreement to go beyond its terms.